It’s an odd year. Because Good Friday happened to fall on March 25, we end up celebrating the Annunciation in April. According to the usual account, it’s a strange coincidence. Christians instituted Christmas on December 25 to combat the pagan feast of the sun. If you count back nine months from December 25, you land on March 25 as the date of the Incarnation and of Gabriel’s message. And as luck would have it, sometimes Good Friday falls on that day. But the usual account is wrong. The Annunciation falling on Good Friday is no coincidence at all. In the early traditions of the Church, long before the Romans instituted the feast of the sun in 274 AD, we find the historical date of Christ’s passion assigned either to March 25 or April 6, depending on how the date of Passover was calculated. For example, Hyppolitus (+ 235 AD) held the March 25 date, while the anonymous De pascha computatus published in 243 AD held to the April 6 date. For [Christ] is believed to have been conceived on the 25th of March, upon which day he also suffered; so the womb of the virgin, in which he was conceived, where no one of mortals was begotten, corresponds to the new grave in which he was buried, wherein was never man laid, neither before him nor since. But he was born, according to tradition, upon December the 25th. As strange as it would feel to celebrate the Annunciation on Good Friday, there are deep reasons for the Church Fathers’ instinct that Christ was conceived on the day he died. After all, what Old Testament text would better fit Christ’s conception than Psalm 2:7, “You are my son, this day I have begotten you”? And yet Luke—who narrates the annunciation scene for us (Luke 1)—cites this Psalm on Paul’s lips as referring to the resurrection of Jesus (Acts 13:31). The letter to the Hebrews presents a similar paradox. It begins by stressing that the world was created through Jesus because he existed as God’s son before the world began (Heb 1:2-3). But it goes on to argue that through his passion Jesus became “as much superior to the angels as the name he has obtained”—the name of Son—“is more excellent than theirs” (Heb 1:3-4). According to the author of Hebrews, Jesus the Son of God was made “for a little while lower than the angels” (Heb 2:9) so that he could be crowned in the end as Son of God. We see the same pattern in Paul’s letter to the Philippians. Paul describes how Jesus “was in the form of God” before he “emptied himself, taking the form of a servant,” humbling himself to the point of death. But then Paul declares that because of Christ’s suffering, “God has . . . bestowed on him the name which is above every name,” that is, the name of “Lord” (Phil 2:5-11). In other words, Jesus was the Son of God from the moment of his conception, but he also became the Son of God through his death and resurrection. The reality present at the Annunciation was also present in his passion. To my mind, John 13:3 offers an interpretive key: “Jesus, knowing . 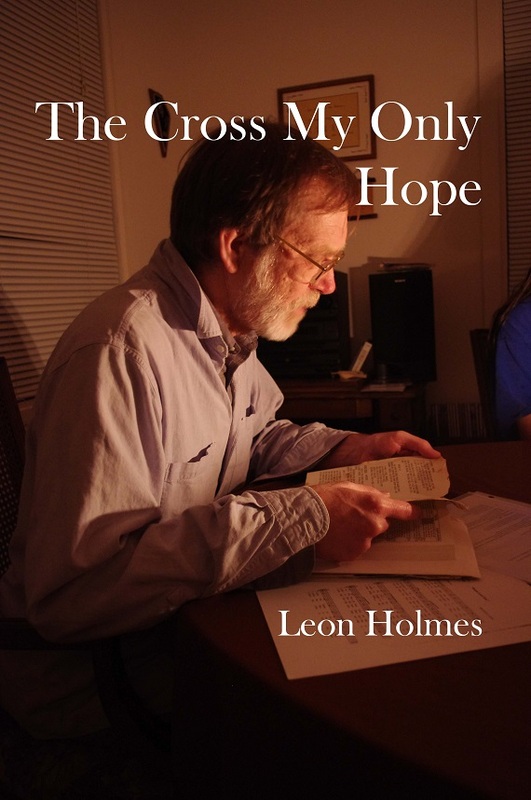 . . that he had come from God and was going to God….” Jesus’ eternal existence as the Father’s Word is an existence received from God and lived toward God (pros ton theon—John 1:1). Consequently, his entire earthly life was a movement from the Father and to the Father. We can imagine Jesus’ life as a bow shot: the Annunciation was that moment when the archer released the arrow and the Triduum was when the arrow lodged in the target. And yet both the archer and the target are the Father: the arrow flies from and to the same God. Every moment of the arrow’s flight was defined by where it is from and where it is to. The “from” of its flight was most apparent in the moment the archer let it fly, but the archer’s aim—the “to”—was no less present. The “to” was prominent when the hour came “to depart out of this world to the Father,” but that hour was also “from” the Father. All his life, Jesus was descending, descending, descending, even to the point of death, death on a cross; all his life, Jesus was ascending, ascending, ascending, through his “hour of glory” even to the Father’s right hand. Consequently, the hour of his passion is the hour of his definitive begetting as the Son of God. 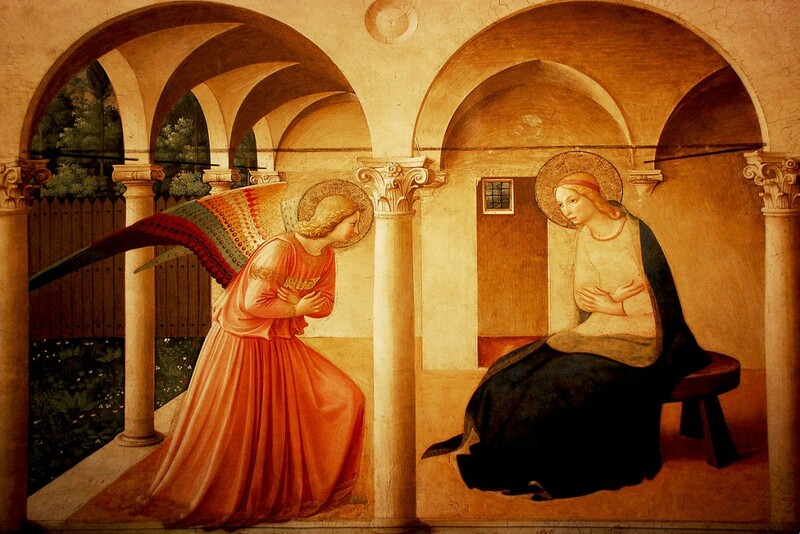 It is no coincidence—no coincidence at all!—that we observe the Annunciation every year around the time of the paschal celebration. All the Patristic references in this blog post come from Thomas J. Talley, The Origins of the Liturgical Year. Thanks for this great article. It reminds me of the figure used in my class on John; the figure 8. Jesus came from the Father and returns to the Father after His lowest point and His triumph on the Cross.